Oh my goodness...I LOVE this new launch!!! I'm having so much fun creating with all of it!!! Today I have a layered card for you using the beautiful Sugar Hollow Collection! you will be able to read mine! Instructions: Cut papers from the Sugar Hollow Paper Collection to cover all of the pages…both sides. Cut out the circles for each page with the new Circle Basics Dies. Ink the edges of the designer papers and adhere to the pages of the Layered Circles White. Adhere the pages to the book base. Stamp the cages with VersaMark, heat emboss with Silver Embossing Powder and die cut with coordinating dies. Stamp the owls, tree swing, leaves and flower cluster from the Birds and Blooms Collection with Memento Tuxedo Black, color with Zig Clean Color Real Brush Markers and cut out using coordinating dies. Stamp the flowers from the Birds and Blooms Collection with Brilliance Pearlescent Orchid Ink, color and cut out with coordinating dies. Shape everything with the Deluxe Flower Shaping Kit, add Sweet Shoppe Prills and glitter. Adhere to the layered card as shown. Cut tags from the paper collection, ink the edges, add glitter and adhere to the layered card. Cut the decorative accent from the Festive Holiday Die twice, add the circle image from the card front in the paper collection, glitter and adhere to the last page. You'll make my day if you leave a comment! 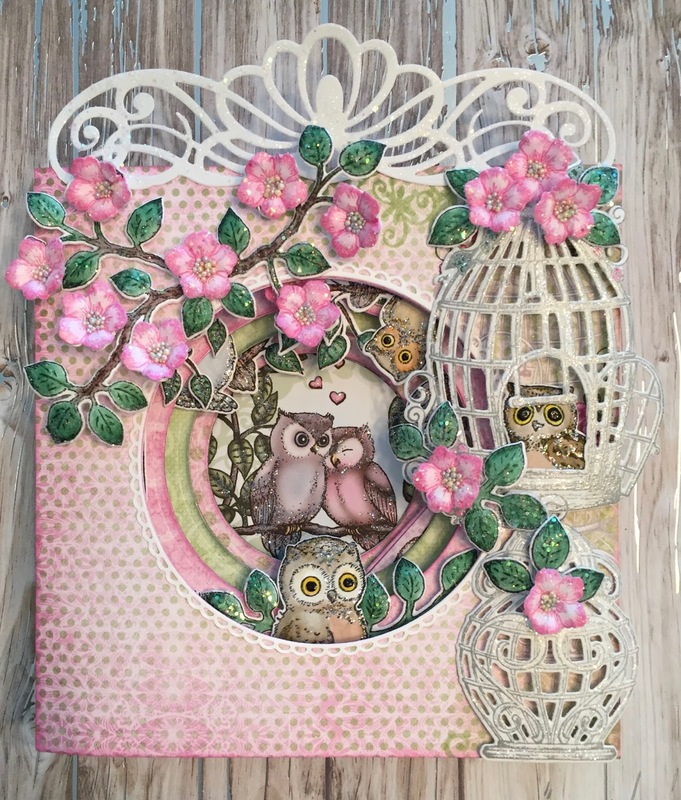 such a cute album love that you used the Sugar Hollow collection too, works so well with these layered cards. Thank you so much Karan! This is sooo cute with the owls. Love it! 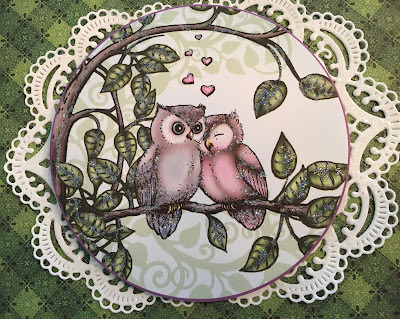 I love your sweet owls! This is the cutest book card!